If you run a search on Google for “home stager” in your geographic area, numerous home staging companies fill the pages. All of them promise to sell your home faster and for more. How do you know who is the best fit for your listing? Do you dare to use your equity to gamble on a stager you randomly found on the web? Your realtor is your best ally in this. Selling a home can be tough and stressful. There are a lot to navigate and the process can be confusing. Your agent will often have a list of reliable vendors in their back pocket in times like this. If they don’t, they have colleagues that have great referrals. In the real estate industry, reputation is really important. Moreover, even though the technology has advanced, it is still a people to people business. Real estate is an incredibly fickle business with very high turnovers. To be evergreen in this business, we have to be good at what we do and reliable. Also, the home stager your realtor uses may offer better services and pricing than if you calling a home stager directly. Have you had any friends who had sold their homes and used a stager? They may also have great referrals. If you’ve never hired a stager before, it may be a good idea for you to chat with your friends who have, to get a better sense of what to expect. Not all stagers are created equal. 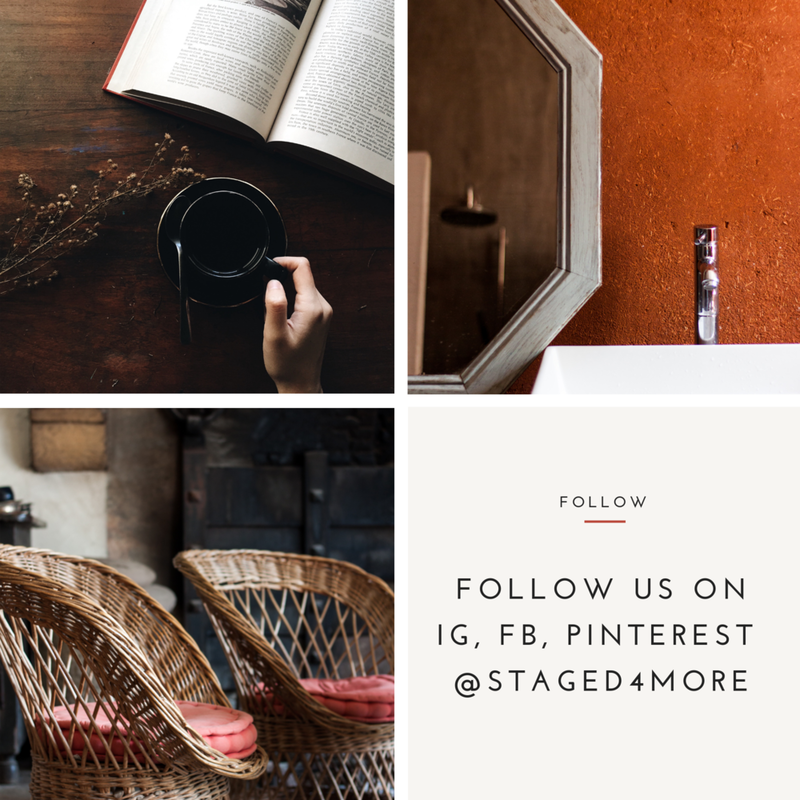 Not only every stager brings a different aesthetics to the job, there are also a wide variety of experiences and backgrounds in the home staging industry. Many home stagers get into the business after an already successful career or coming back to work after growing a family. To be honest, there are no set standards on pricing or business practice. There are training schools out there, but the education is mostly focusing on business skills and generally can be taken online or a 2- 3-day workshops. Additionally, everyone does business differently. We encourage potential clients to speak with other stagers so they can hire the best fit for their listing. Don’t mistake qualifications with the letters behind the stager’s name on his/her business card. When I was working as a Realtor, although I have passed my exams, taken my GRI and e-PRO courses, it didn’t mean anything until I was out on the field. What I mean by qualifications is how much work has this person done in the staging industry? Ask to see resume, portfolio, past before & after pictures (make sure they are done by him/her, not some stock photos from some website. Usually a good way is “Oh, tell me about the story behind this picture!”), or certifications and continue educations if this is important to you. We have been in the business for a long time now and we have had unethical new stagers copying photos or marketing copy off our website, even a former assistant had cropped off our watermarks and put the photos on her website as part of her portfolio. While it is difficult to tell if someone’s portfolio is truly their work, but there are questions you can ask to decipher how credible this stager is. 4. Ask for their professional policies, agreement, etc. If you are a bank teller, what do you do if a customer comes to you wanting to deposit someone else’s check into his/hers account? There are certain procedures to follow, correct Similarly with running a small business, which is what most of the stagers’ businesses are. You want to do business with someone who has strong sense of ethics and professional policies because these reflect on his /hers professionalism, as well as how serious they will take your project. When your potential stager comes over for a consultation (many do charge a fee for coming out and many don’t), observe what he or she does and his/hers working style. Is he/she listening to your needs? Respectful? Easy to work with? Knowledgeable? Asking you thoughtful questions about your listing? Additionally, when someone has been doing business for awhile, they have established certain system or guidelines for their business. 5. Do searches on the internet on the stager or his/hers firm. This is the NEW age of real estate. As a consumer, you now have more power than ever with all the information at your finger tips. A web presence is VERY important in our line of business, since we don’t have physical store fronts. A website allows the consumers to get to know us before we even set off into the door. In a 2005 National Association of Realtors study, 79% of buyers now shop on internet first, and that number is rapidly growing. The number now is well above 90%. If your stager has a great website, that’s great news for you too. That means the stager understands the importance of online marketing. If the stager writes a blog, that is a bonus, read a few entries to get a feel of how this person works and how credible this person is. Through your online search, you may also find clues if they were questionable. Nowadays, with websites like LinkedIn and Yelp, bad behaviors are difficult to hide. 5. Pricing is not everything. When you are shopping for a stager, it is very tempting to hire the cheapest one, or hire the most expensive one because they seem the most credible. It’s true, you do get what you pay for. But the most important factor in hiring should be the stager’s portfolio. 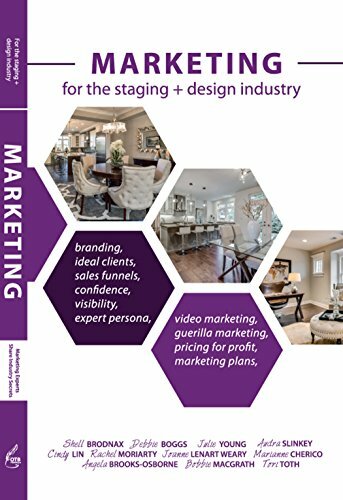 What you really need to consider is: Staging needs to fit your demographic. Look at the stager’s portfolio, is the styling going to be age appropriate for your demographic? Appropriate for your price range? These are factors to consider. Price does not mean anything really. A good stager WILL work with your budget. (But be reasonable, you can’t really have champagne taste on beer budget.) There are a few different ways stagers determine how much they charge. Some, like me, does it based on how much time, prep, labor and materials I need for the job. Some based on a percentage of the listing price. Some does it per square footage. So use your best judgment and look at their portfolio. 6. Don’t take it personally. If you do, you won’t survive the open house. Stagers may make recommendations that offend you because you feel that your taste in home decorating has been totally dismissed. BUT, staging is about appealing your home to a broad range of buyers. You may love blood red walls in your dining room, but it can be a tough sell. Also, think about it, more than 90% of home buyers start their searches for homes online. Some of your personal decor choice, like blood red walls, do not photograph well. Usually when a buyer enters a home that has such strong personality, they are distracted. And you don’t want them to be distracted. You want them to look at your space and remember your listing even after they have seen other comparable homes on the market. Have more questions about hiring a home stager? Comment below and we will answer them!